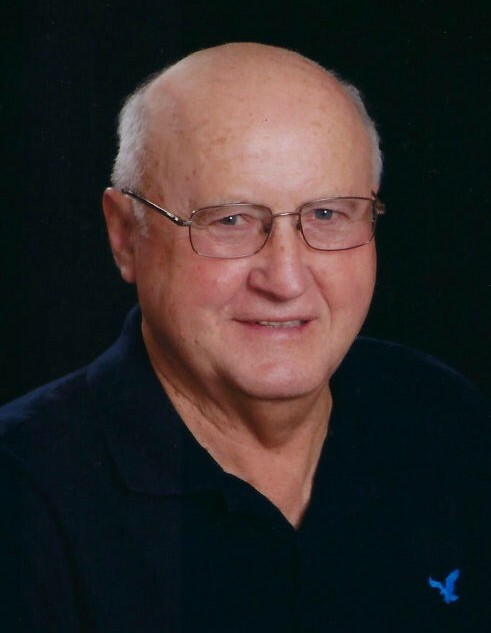 Owen R. Peterson, age 79, of Gladstone, passed away Monday afternoon, November 19, 2018 at U.P. Health System – Marquette surrounded by family. He was born on April 29, 1939 in Gladstone, MI, the son of Herbert and Gladys (Brennan) Peterson. At a young age, Owen’s family moved to Wisconsin and he was a 1957 graduate of Valders High School. Owen married the former Susan Schuh on July 20, 1957 in Clarks Mills, WI and she preceded him in death on September 5, 2007. Together, the couple shared 50 years of marriage and raised four children. They moved to Flint, MI where he worked at A & P Grocery Store and also at Ficsher Auto Body, a division of General Motors. In 1969, the family moved to Gladstone and Owen was employed for Mead Paper until his retirement in 2001. Owen was a member of All Saints Catholic Church in Gladstone, member of Knights of Columbus, the Gladstone Yacht Club – served as Past Commodore, and also a member of the Mead 25 Year Club. Owen was an avid Green Bay Packers fan and had a love for Michigan State and Wisconsin Badgers college football. He also enjoyed listening to high school football games on Friday nights on the radio. Owen was a jack of all trades as a handyman as there was nothing he could not fix. He enjoyed anything to do with the outdoors, especially being at camp on the Escanaba River and snowmobiling in the winter. Owen loved spending time with his family, especially his grandchildren. Owen R. Peterson is survived by children, Terry (Patti) Peterson of Little Canada, MN, Karen Peterson (Jim Branstrom) of Perkins, and Julie (Steve) DeLaire of Gladstone; daughter-in-law, Lori Peterson of Mount Dora, FL; 8 grandchildren, Susie Cretens, Cassie Majestic, Meaghan Mammenga, Amanda Peterson, Ben Peterson, Hannah DeLaire, Grace DeLaire, and Emma DeLaire; 10 great-grandchildren; 2 brothers, Paul (Rosemary) Peterson of Davison, MI, and John (Judy) Peterson of Davison, MI; and special friend, Bonnie Marenger of Gladstone. In addition to his parents and wife, Owen was preceded in death by his son, Timothy Peterson on June 20, 2018; grandson, Sam Peterson in 2017; great-grandson, Chase Loftquist; brothers, Pat Peterson, and Bernie Peterson; and sisters, Kathleen Delsman, and Barb Foerg. Visitation will be held from 11:00 a.m. to 1:30 p.m., Saturday, November 24, 2018 at the Anderson Funeral Home in Gladstone. Mass of Christian Burial will be celebrated at 2:00 p.m., Saturday, at All Saints Catholic Church in Gladstone with Father Brian Gerber officiating. A luncheon will be served at the conclusion of the services in the church fellowship hall. Burial will take place in Fernwood Cemetery in Gladstone. A social gathering celebrating the life of Owen Peterson will begin at 6:00 p.m., Saturday, at the Gladstone Yacht Club.